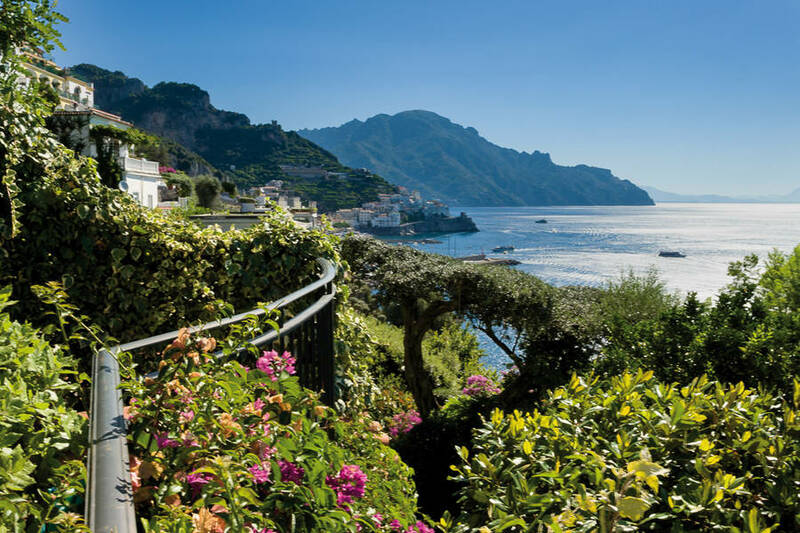 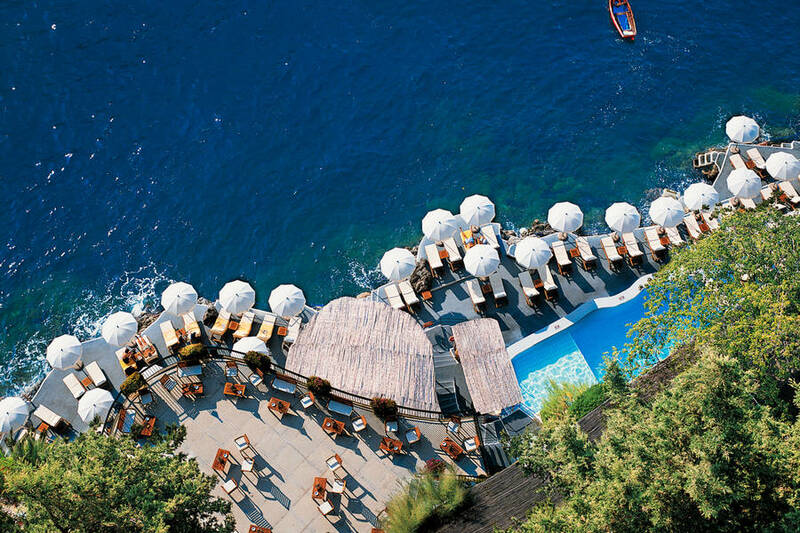 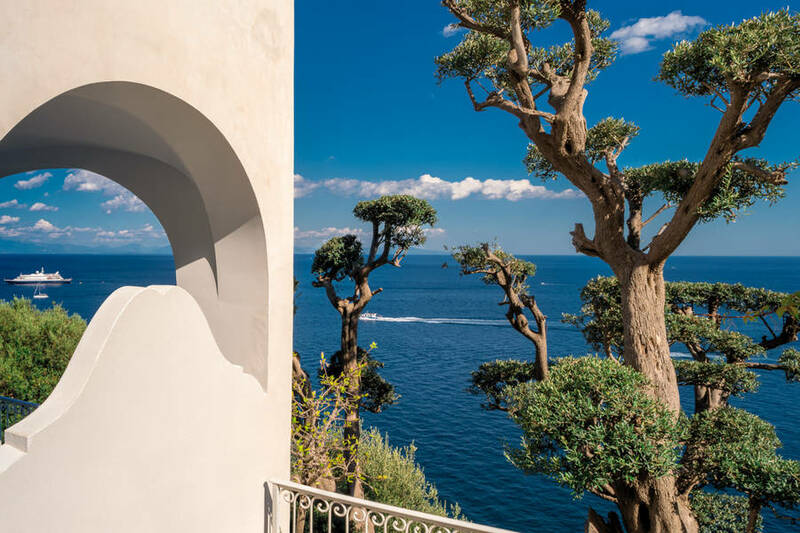 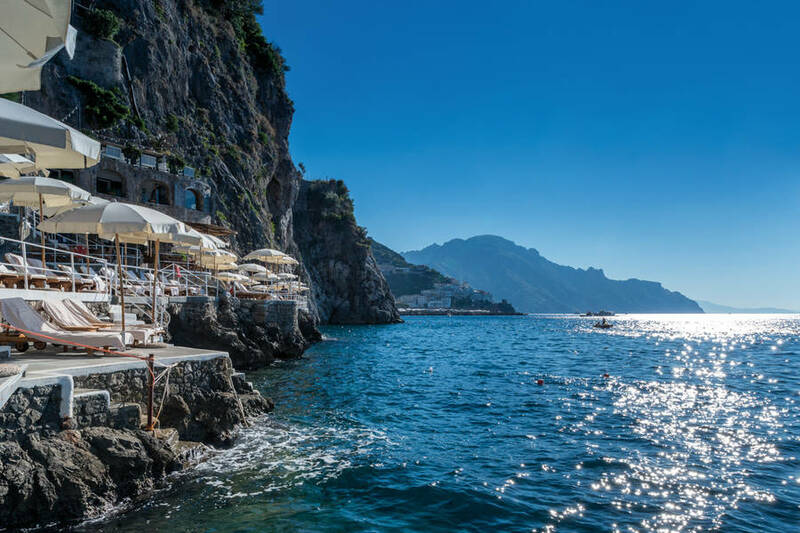 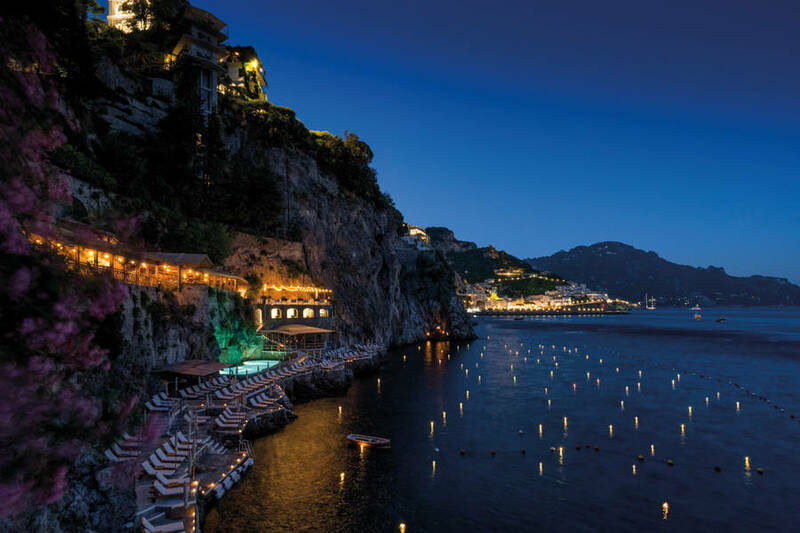 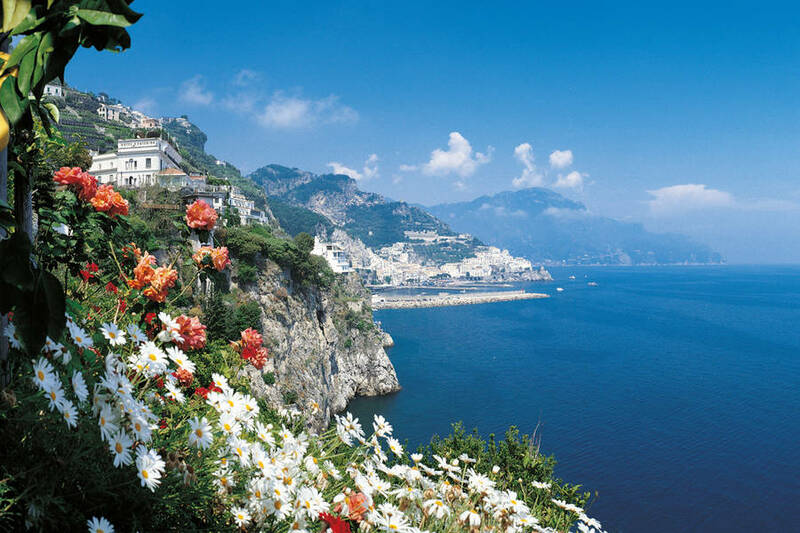 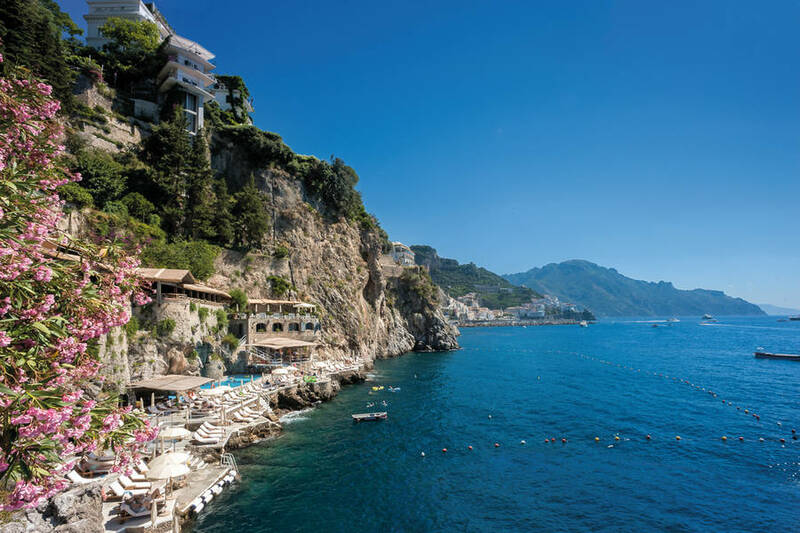 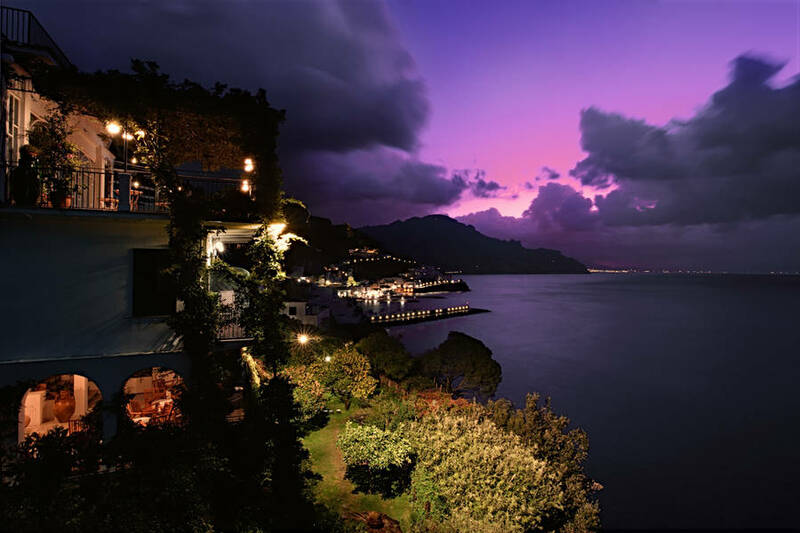 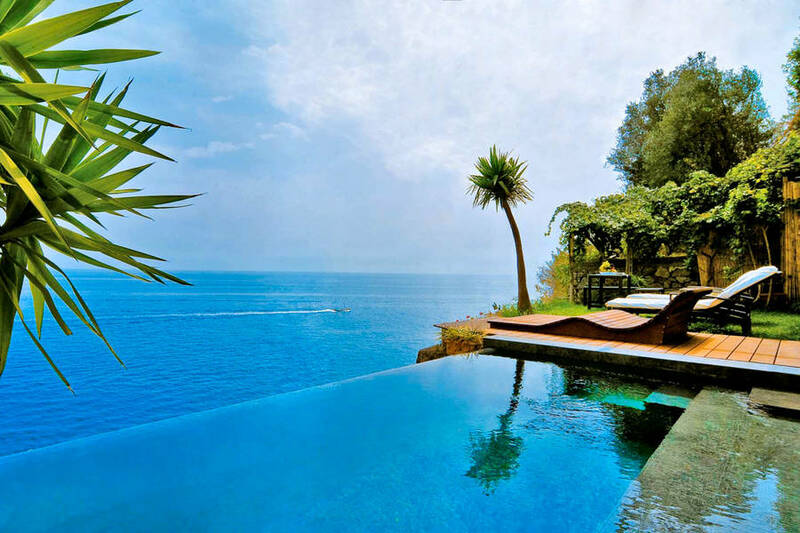 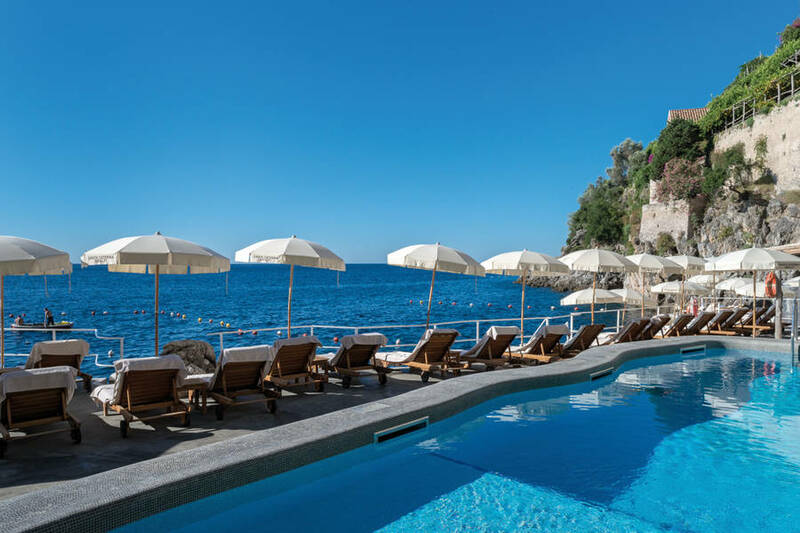 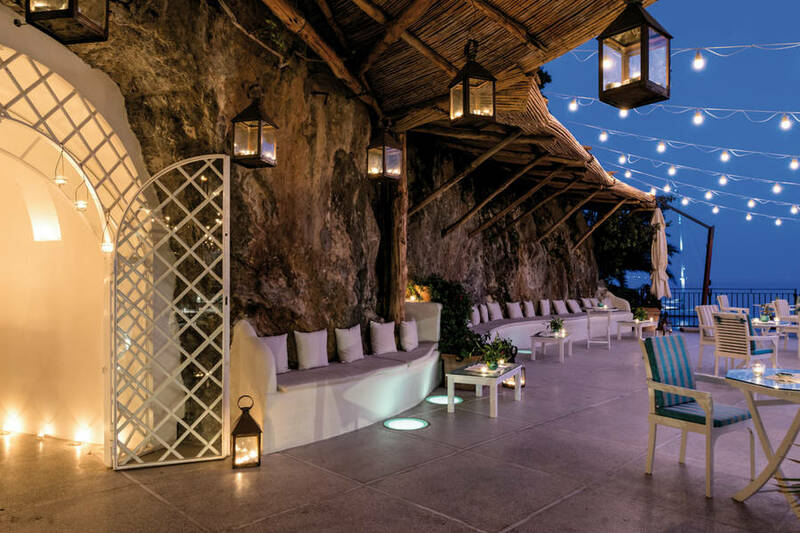 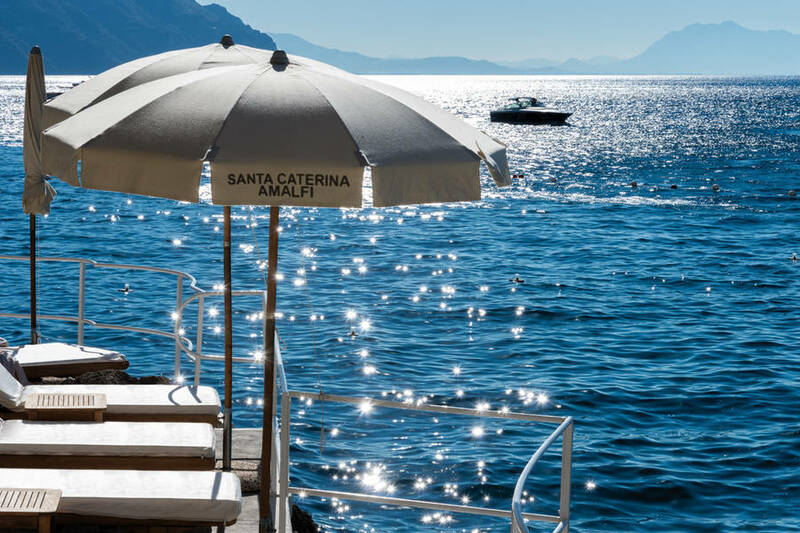 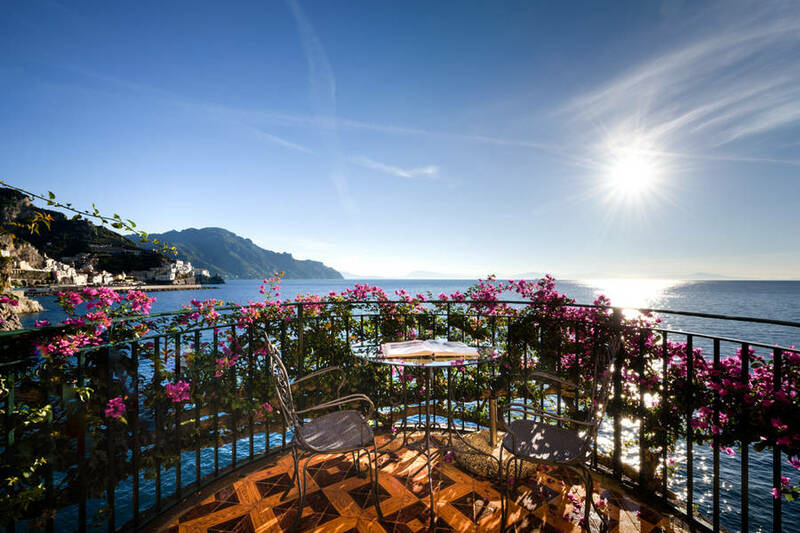 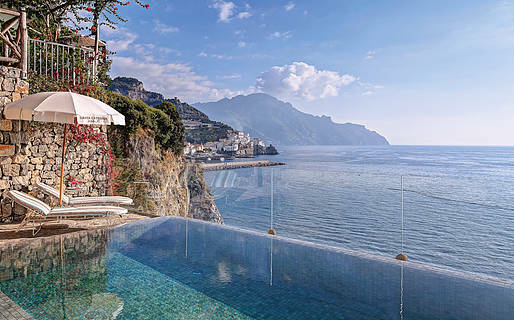 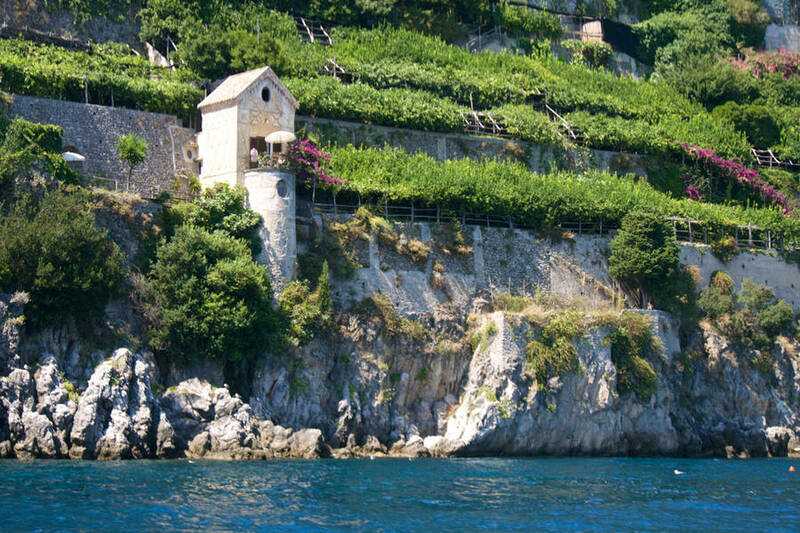 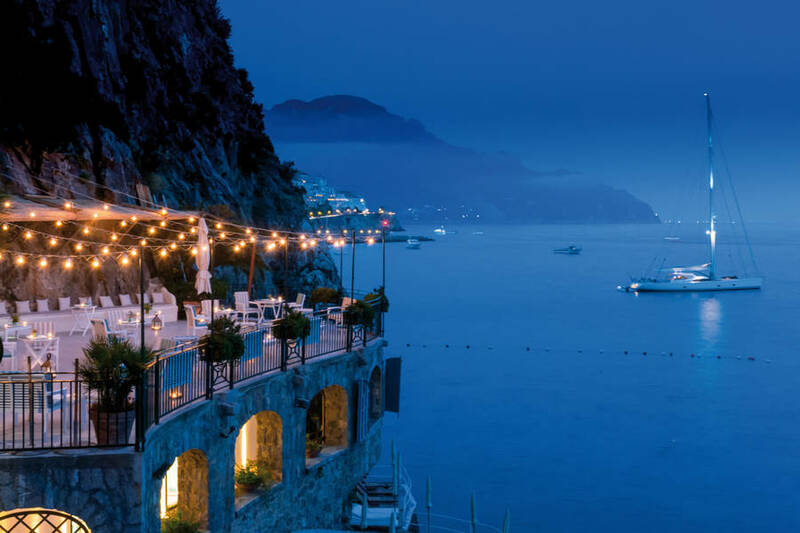 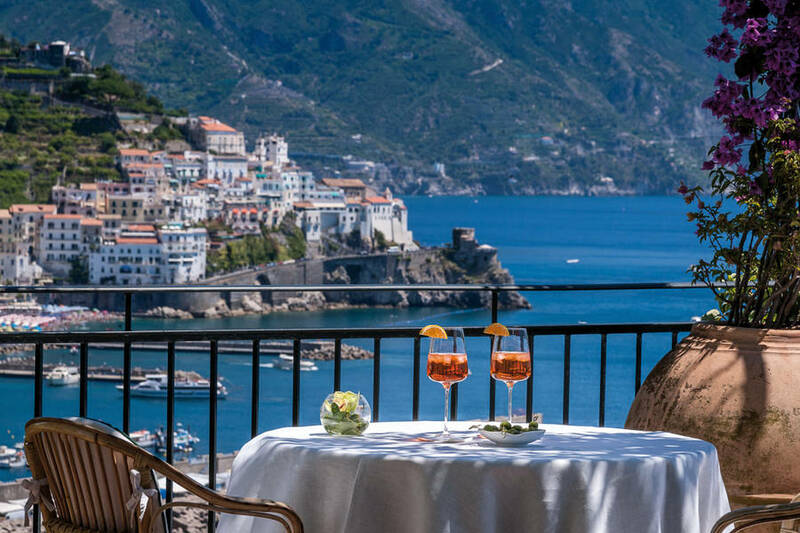 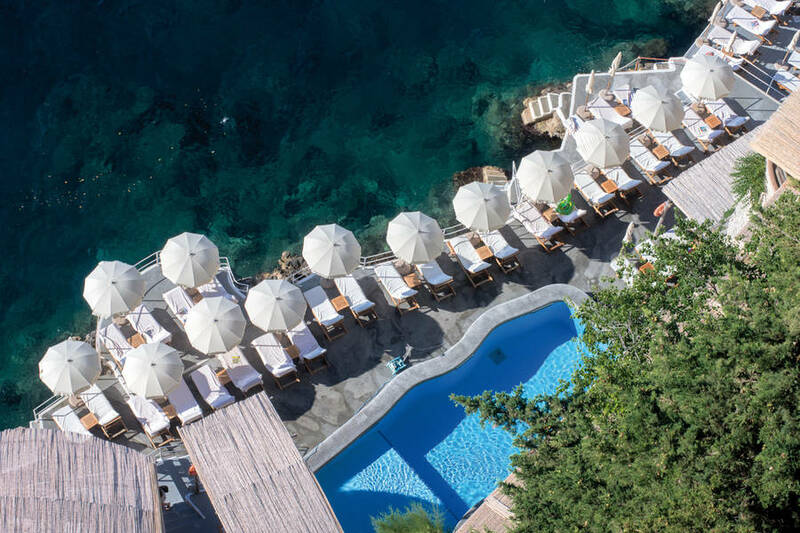 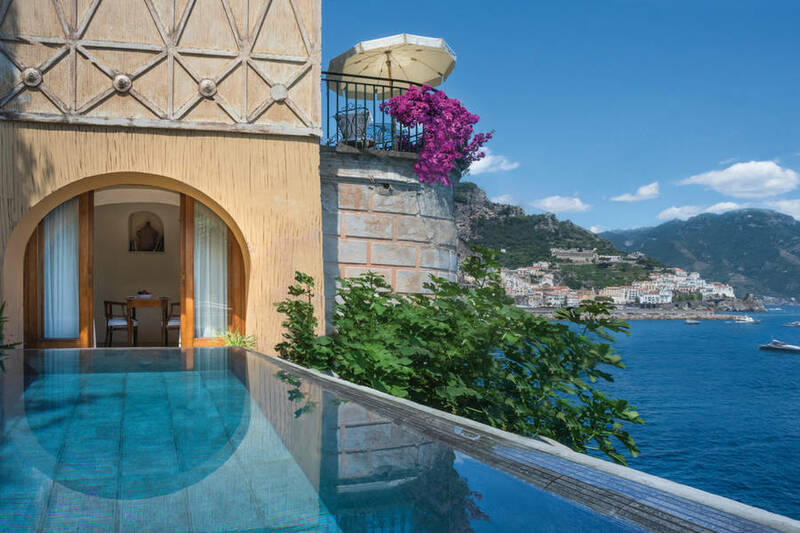 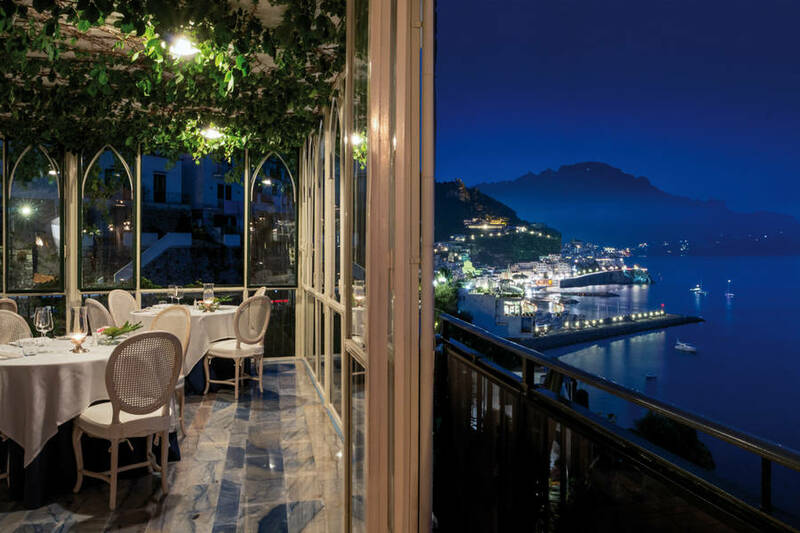 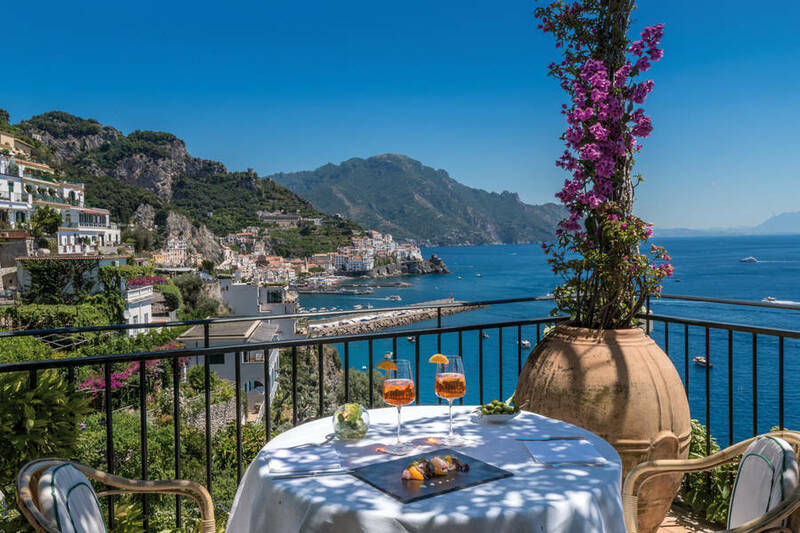 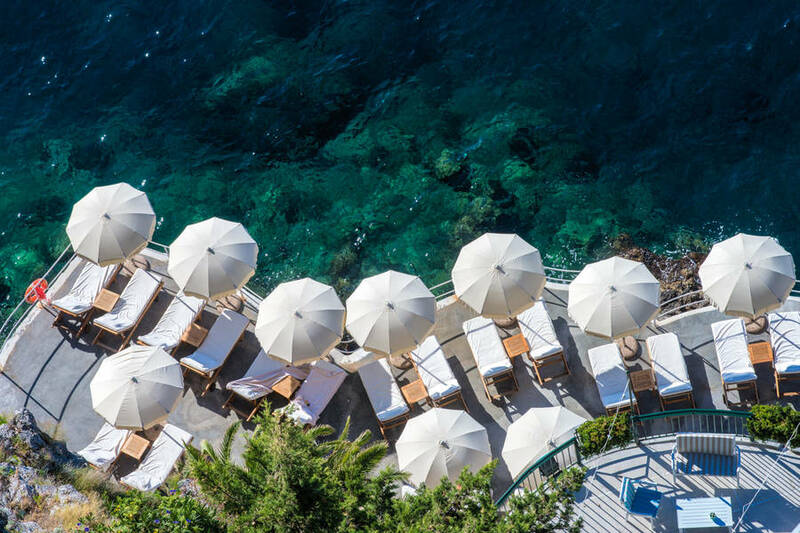 On the Amalfi Coast, just a few minutes away from the town of Amalfi, the luxurious five star Hotel Santa Caterina sits on a clifftop along the "Amalfi Drive" with a lush estates that tumbles down to the sea in a series of lovely, landscaped terraces. 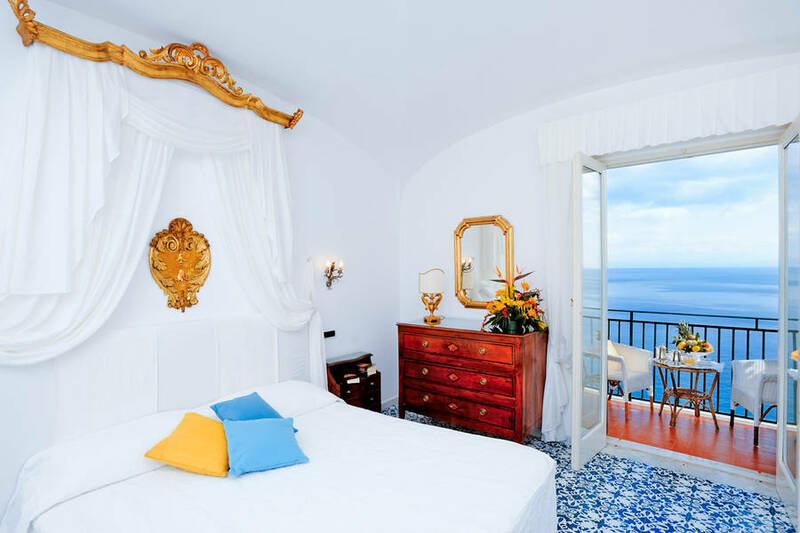 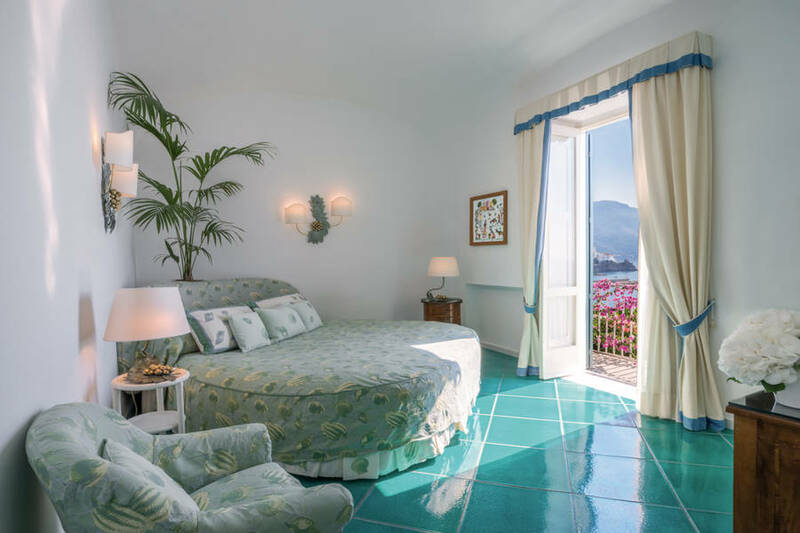 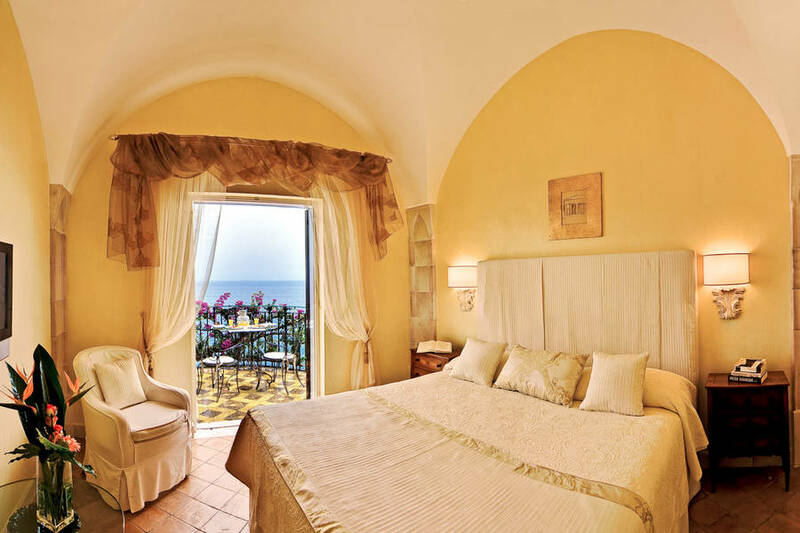 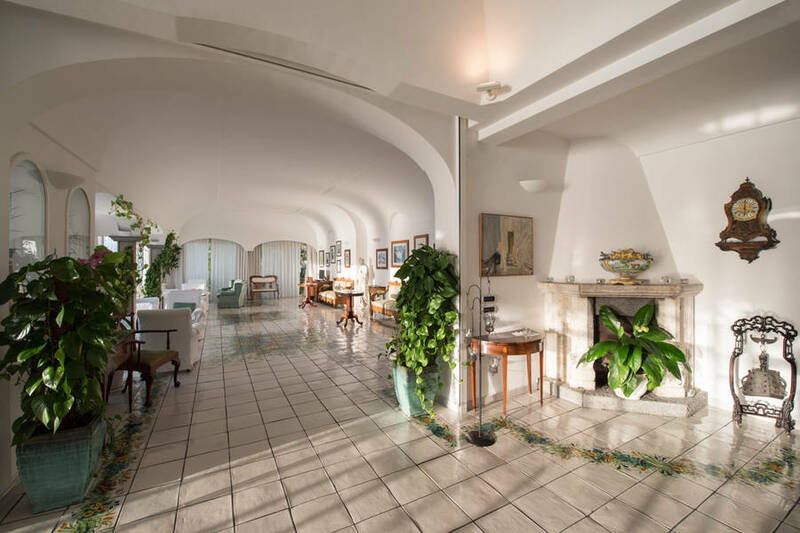 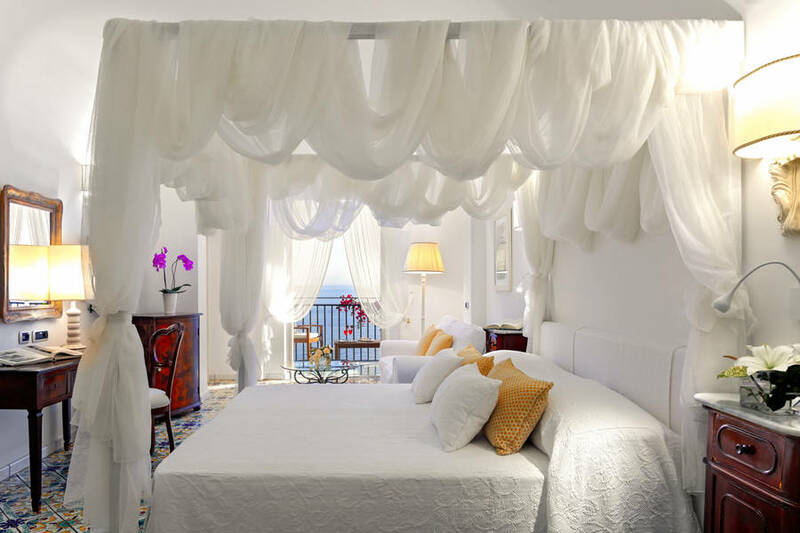 The hotel's light-filled rooms and suites, many of which have a views over the sea or the hotel's lovely garden, are all individually decorated with a careful selection of antique furniture, family heirlooms, and ceramics from nearby Vietri. 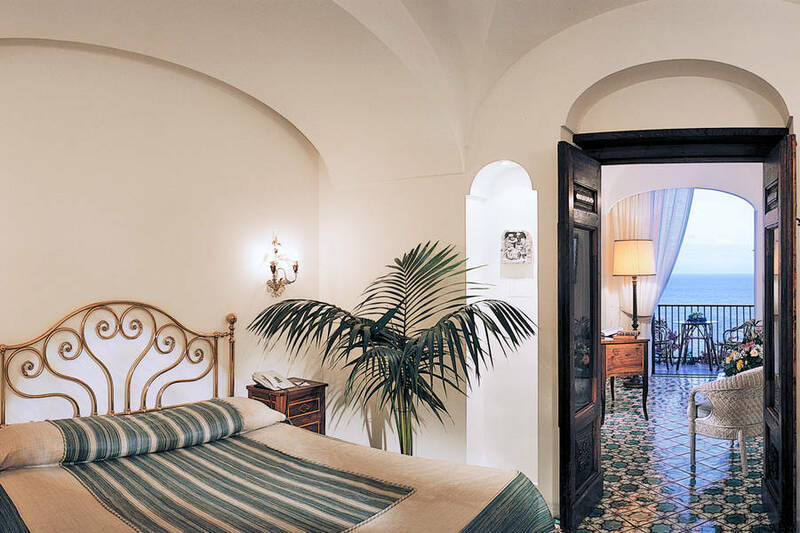 The stunning bathrooms have bronze fixtures and marble decor, completing the sophisticated elegance of the guest rooms. 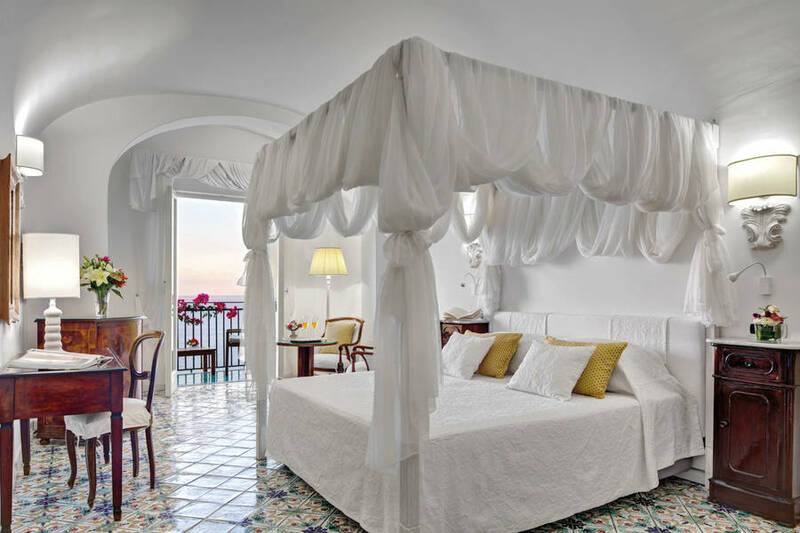 On your honeymoon or looking for a romantic getaway? 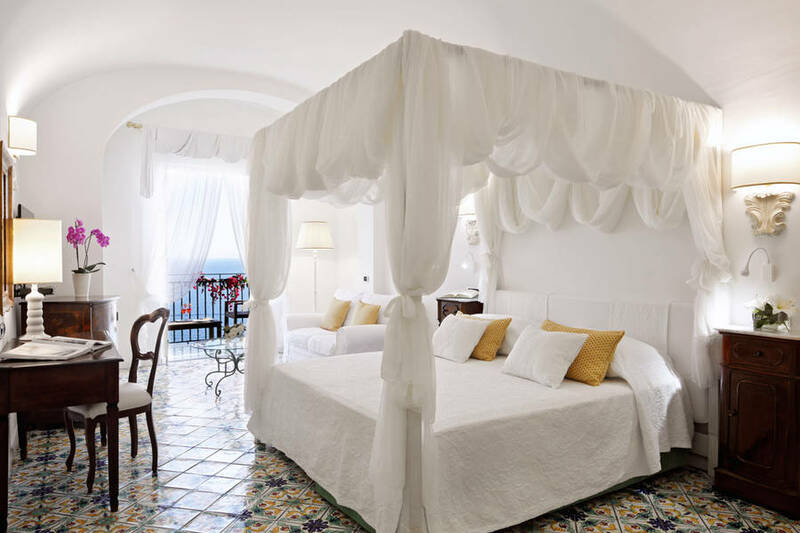 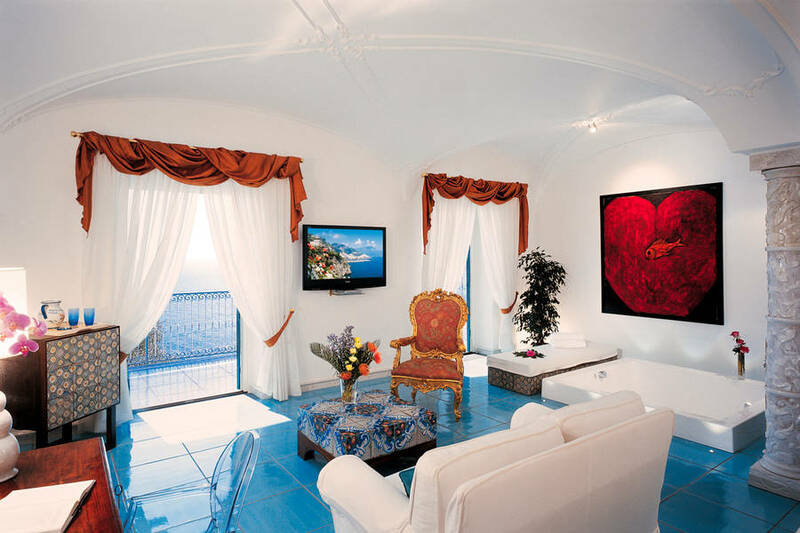 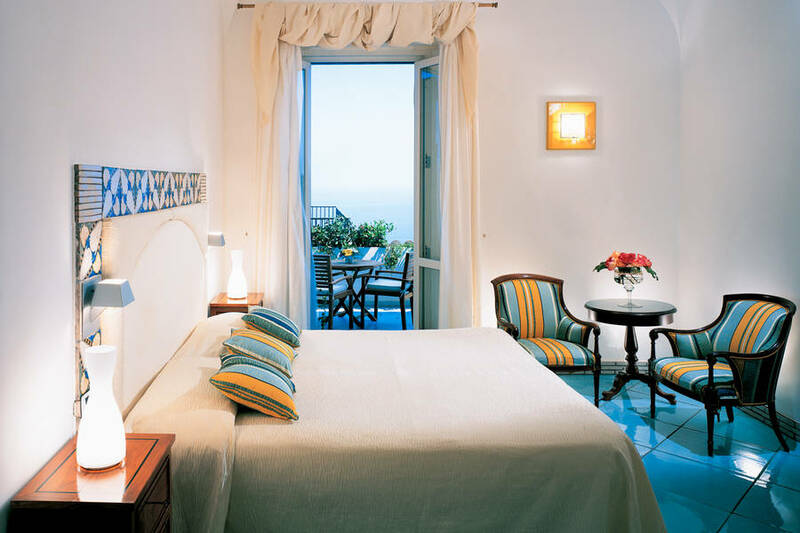 Book 'Special Suite, "Follia Amalfitana", or "Chalet Giulietta e Romeo" with a private garden and Jacuzzi tub. 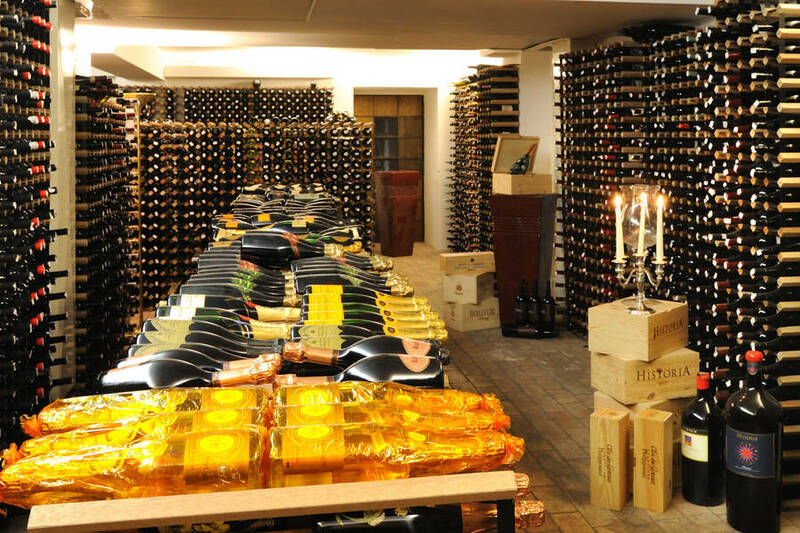 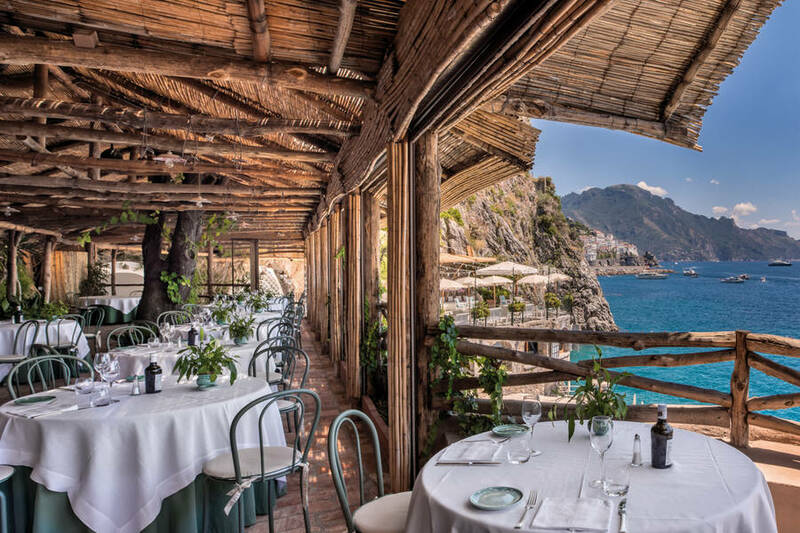 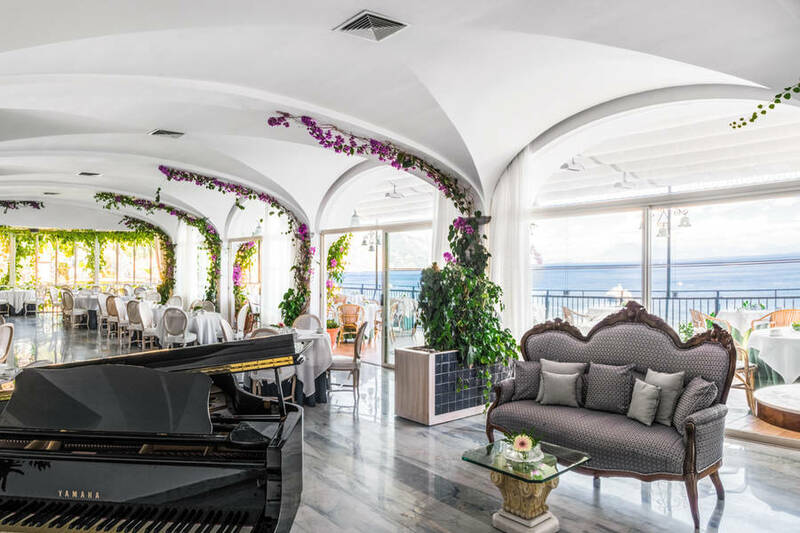 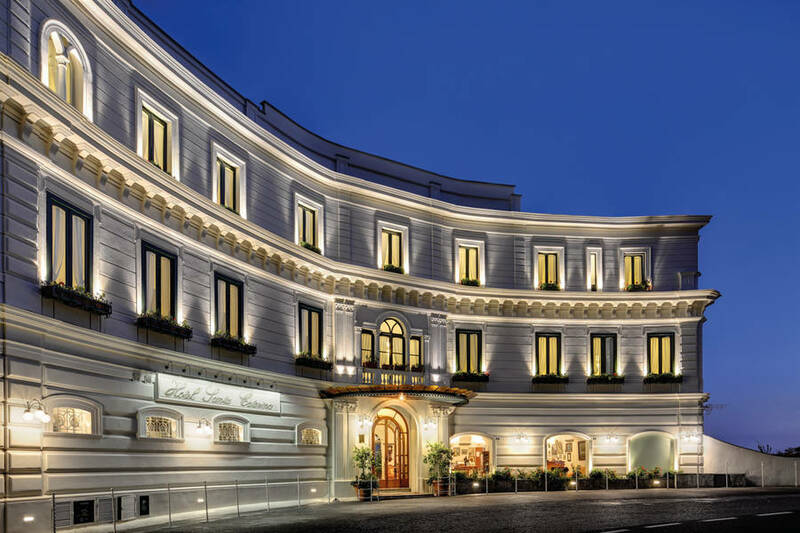 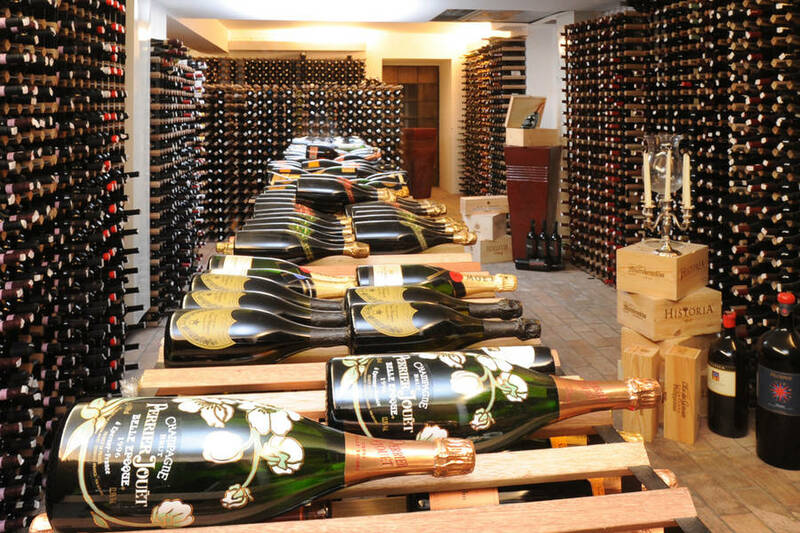 The most exquisite gourmet Mediterranean cuisine is served in Santa Caterina's main restaurant's elegant dining room overlooking the sea, and is included in the most prestigious gourmet guides in Italy and abroad and has won numerous awards. 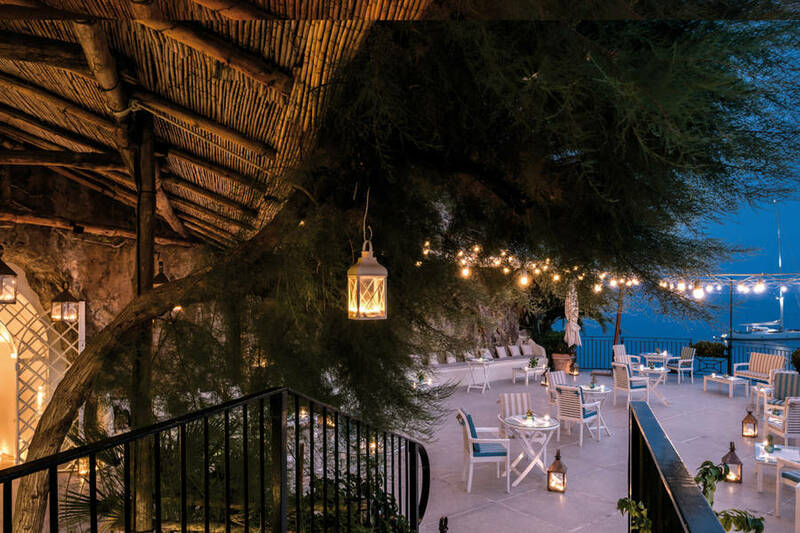 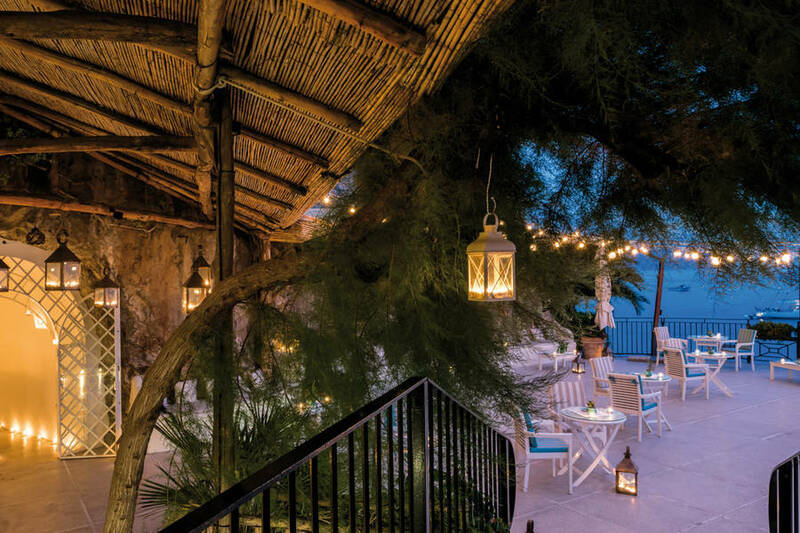 For pizzas cooked in a traditional wood oven and local fish dishes, take a seat in the less formal "Restaurant al Mare", just above the sea edge swimming pool. Via an elevator cut into the rock, guests descend along the terraced cliffside to Hotel Santa Caterina's Beach Club with sundecks and sea-water swimming pool, a fitness centre, snack bar, and restaurant. 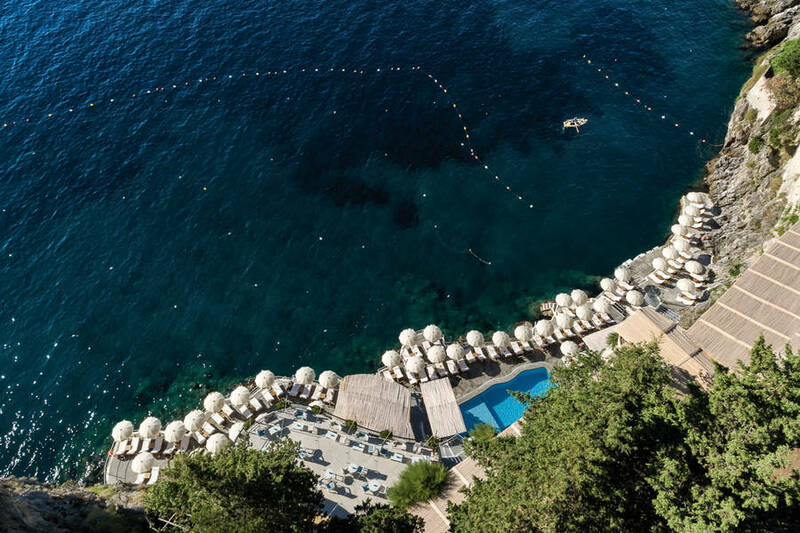 After a morning on the beach, pop into the hotel's spa, equipped with Turkish bath, Scottish shower and sauna for a relaxing massage or exclusive facial treatment.